The first thing you need to know about Gerry Walker’s Ooga Booga is that it’s a book written to interrogate and extrapolate the importance of the Black Lives Matter movement. In other words, it’s a book steeped in Blackness. All the central players in the book are Black, and their Blackness is key to the plot: the book literally hinges on genetic differences between Black and non-Black individuals. I…had questions about this, which I’ll get into in the review downstream, but suffice to say the cast was predominately Black. Walker makes a point of acknowledging that Black individuals come in all different skin tones, too, which is another key element of the plot I’ll get to in a minute. But. The book goes utterly sideways with regard to its representation of queer characters. A prominent character is queer–I thought at first, just a pleasant happens-to-be-queer character– and is revealed to be a classic duplicitious conniving snake-in-the-grass queer character. There was literally no reason for this that I can think of. He was just…the only queer in the book, and he was heartless and evil. Because. Reasons. Also, there is an Fat Evil Scientist who is at times jolly. FYI. But. Walker does use the speculative fiction conceits he introduces in the book to explore, with some nuance and respect, the intersections of race, poverty, and sudden dis/ability to great effect. What I’m saying is in terms of diversity–specifically in terms of intersectionality–Ooga Booga tries very hard. It gets some things right and gets some things wrong. The Black Lives Matter movement mattered1. It mattered enough, actually, that Black boycotts finally shut things down. Corporations finally noticed the full brunt of Black earning power. A trap was set. Some years in the future, Black people begin to fall prey to a mysterious disease, one that strikes them down, strips them from language, replacing it with something called New Speek–a burst of undulating, ever-changing consonants and vowel sounds that can’t be learned.2 As the New Speekers transition, they are ripped from their homes, taken to camps. They lose their jobs. Reentry to society is troubled at best when they do regain English. And, inevitably, there are shootings. The context Walker sets up here is pitch-perfect. It is absolutely eerie. The first chapter, which chronicles New Speeker Patient Zero–a five year old girl–is heartbreaking. From there, the book redirects its attention onto Vanessa Landing, a white-passing biracial woman who transitions to New Speek at literally the worst possible moment. Her world comes crashing down around her. She loses her high-powered job and is shunned by her former friends. Her veneer of whiteness is shattered. As she rebuilds her life from the ground up, she does so fueled by righteous fury at how Newspeekers are being treated. She becomes an activist, campaigning for their rights. Into her orbit comes her faithful assistant Fisher Coach, a rising rap star named Perry Ironside (who raps in New Speek as Ooga Booga), and her eventual husband, the dull but immensely malleable Eric Dickerson. From there the plot drifts between very a solid political thriller and a frankly saccharine star-crossed romance. Ooga Booga has its strong points. Walker’s analysis of how Black people are corralled and controlled is cogent and full of horror. New Speek is brilliant–a perfect double edged sword, at once potentially dehumanizing those it affects while simultaneously giving them a secret way to communicate and organize resistance. And, really, given the way Black people are already forced to code switch New Speek as an extrapolation is not far off the mark. Ooga Booga is best when articulating these tensions and exploring them. But Ooga Booga has deep weaknesses, too. I think the book would have been stronger if it had focused on a secondary character, Cam Ventura, who never regained English after transitioning to NewSpeek. He is forced to run and scramble and organizes Newspeekers from the fringes of society. Vanessa Landing herself struck me as an odd choice–why focus on someone so white-passing? Her claims to to her Black identity in the text are inherently validated by her ability to speak New Speek, but never once does anyone interrogate her light-skin privilege or the fact that perhaps she is adopted by the mainstream as an acceptable figurehead for Newspeekers precisely because of her ability to pass as a white woman. Once in the text Vanessa makes mention of the Black community’s need to address colorism within its ranks, but nothing past that is mentioned despite constant mentions of her light eyes and blond hair and pale skin. This, combined with the reliance on lazy tropes (evil queer, evil fat person) and the constant stream of questions I had about how New Speek functioned and who transitioned and why left me distracted while I read the book. After the extraordinary first chapter I never fully engaged with the text again. Your mileage may vary. My guess is that some people will read this book and be able to skim right past the tropes that rubbed me so wrong. Some people are not nearly so over-thinky as me and will not have so many questions about why some members of the population transitioned to New Speek while others did not. For those people, this may be a five star book. For me, the strengths and weaknesses of Ooga Booga existed in a near-equal and uneasy balance. 1This is clear in the back cover copy, which you can read in the Goodreads or Amazon blurbs, but it wasn’t actually clear in the text of the book until, I think, 70% of the way through. As I read the book, I thought I was reading a sort of alternate-universe book where the events happening were that universe’s version of our Black Lives Matters movement. When it was revealed that no, actually, it was the same universe but the book was set thirty or so years in the future I was momentarily confused. 2The Big Reveal here actually seemed to have more to do with melanin production than African ancestry directly. This raised questions for me–were there dark-skinned Asian individuals who transitioned to New Speek? If the main character, Vanessa Landing, a biracial women who is extremely white-passing can transition to New Speek, then how precisely is it tied to melanin production? I know I’m overthinking this, getting far too deep in the weeds here, but I have questions. And this conception of Blackness kept leading back to a one-drop-rule line of thinking wrapped up in discussions of “melanin production” without unpacking that there are other racial categories that also produce melanin. It just read as clumsy to me, or possibly unfinished. 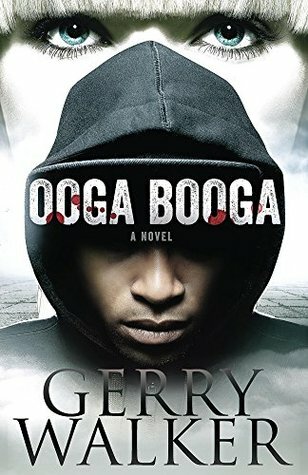 This entry was posted in 3 stars, Book Review and tagged 3 stars, book review, gerry walker, ooga booga by brsanders. Bookmark the permalink. It *is* promising, and I do recommend a read. I got stuck in places, but you my glide right off where I got stuck. The ideas are definitely promising. Hey Constance! B did an absolutely incredible job on this review and I’m thankful for and impressed by her observations. One note, though: the Big Reveal actually does not involve melanin production, but something else. Not sure how that conclusion was extracted, but think it’s important enough to mention. Ack! I’ll reread those sections and correct the review. no problem​. I got it on KU, and its next on the TBR list.